Haunted house stories are probably one of the most common types of stories in horror. Why? I believe part of this is that a haunted house can exist in any environment, from the rural mid-west to Los Angeles to the frigid in the winter and humid in the summer Northeast. A haunted house is personal; the things doing the haunting see you at your most vulnerable–whether you’re sleeping, in the shower, or playing with the discovery of Lela Star on the internet, pre-plastic surgery, of course. This vulnerability in conjunction with the supernatural makes haunted house stories attractive. The classic haunted house stories–The Turn of the Screw, The Haunting of Hill House, and Hell House, to name a few–take place in extravagant houses built by the rich. But more modern settings can be found, such as in House of Leaves by Mark Z. Danielewski–one of my top five favorite novels–which takes place in a house like you can find on many streets in America. But the classic setting can be just as effective as the modern setting depending on how well the haunting is crafted. In Hell House, Richard Matheson eschews subtle horror in favor of a more concrete haunting. There is no ambiguity in the haunting. Hell House is haunted. That is that. This differs from Shirley Jackson’s The Haunting of Hill House in that Jackson plays with more psychological horror. Which is more effective in creating fear? That most likely depends on the reader. Imaginative readers may prefer the subtle haunted house stories because the ambiguity of the haunting allows the mind to create horrors more in line with their personal fears. Less imaginative readers may prefer the in-your-face haunting Matheson employs in Hell House. I, personally, prefer the subtle horror because I am able to project my subconscious onto that of the ghost. However, that doesn’t mean I don’t like the in-your-face stories. The former just has a longer lasting effect on me, and is one I like to emulate in my own writings. Endings may play a large role in the effectiveness of haunted house stories as well. In Jackson’s novel, the reader is left with the question of whether or not the haunting is real or merely in the head of the protagonist. Arguments for both can be made. Hell House has a more definitive ending. The ghost is real, and he is defeated when he is reminded that he would be picked last on a basketball team because of his height. Because of his anger regarding his stature, he sure wasn’t Muggsy Bogues. Some readers may prefer the closure Hell House offers, but the ambiguous ending The Haunting of Hill House provides is more of my cuppa tea. Readers cannot simply close Jackson’s novel and move onto the next one. They will ponder over the ending, questioning the validity of the haunting. This, in turn, may force them to question their own sanity when they react a certain way to things unseen. 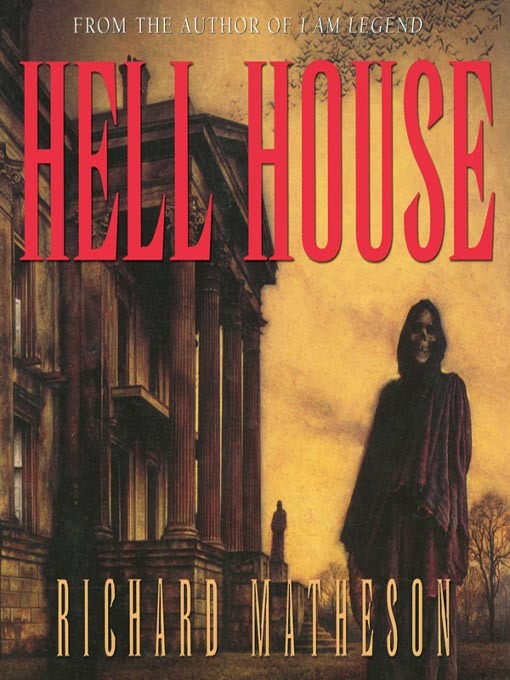 Hell House differs in that once the book is finished, there is no questioning like that of Jackson’s novel or even House of Leaves.